LIMITED TIME BONUS. 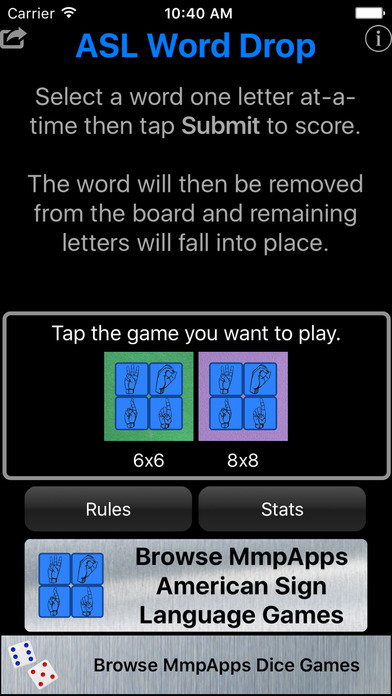 Get the 8x8 game for free, no need to make an in-app purchase. 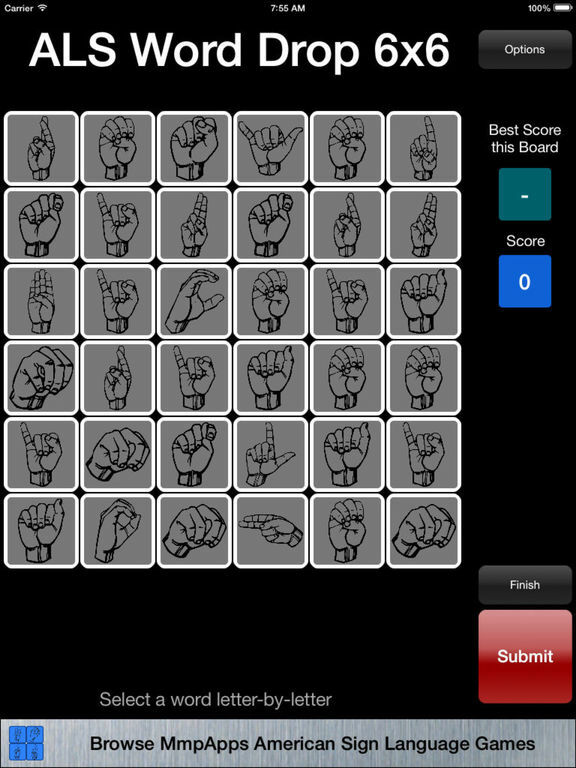 ASL Word Drop is a word game to help you learn American Sign Language Fingerspelling. 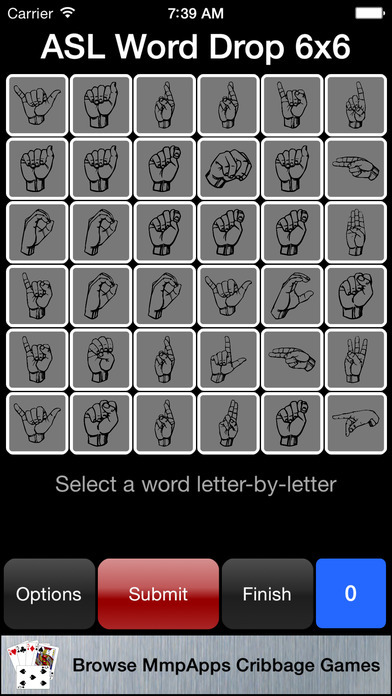 ASL Word Drop is the same as the classic Word Drop except it uses ASL signs rather than letters. 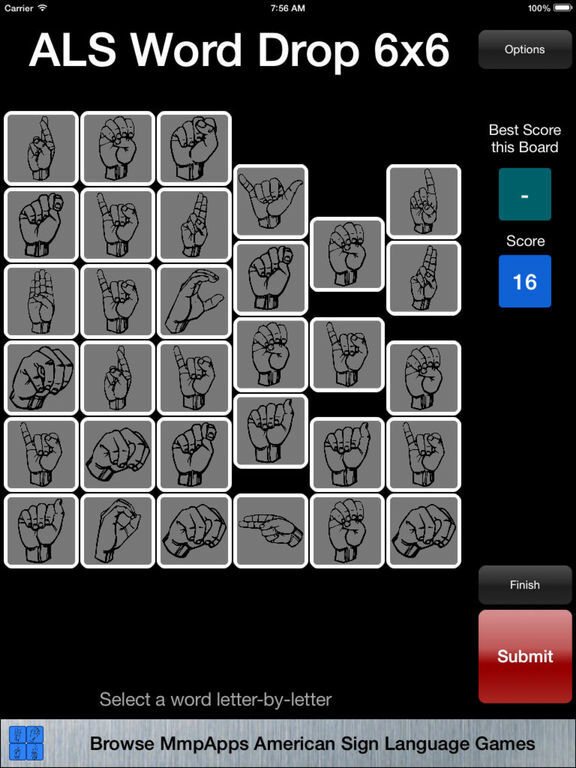 Find words in a grid of letters. Once a word is scored the letters are removed from play and all remaining letters fall into place. 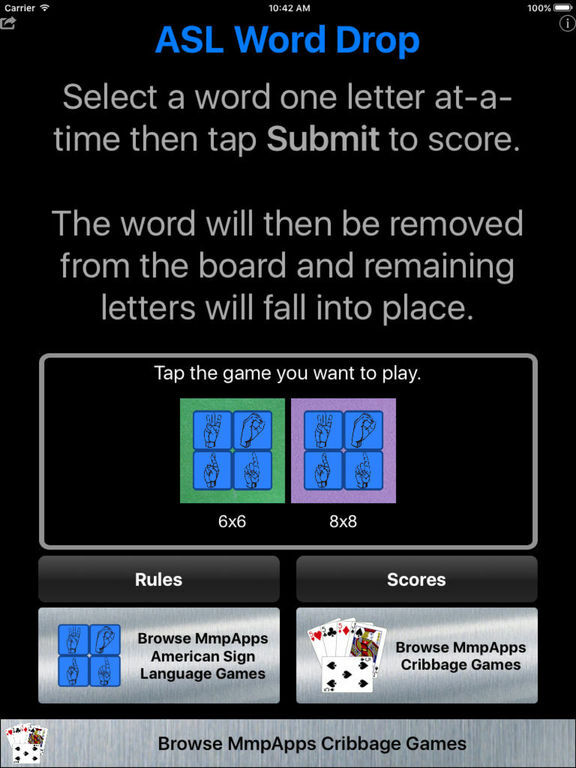 The strategy is not only to find the highest scoring words possible, but also to leave yourself with a favourable board for your next pick. 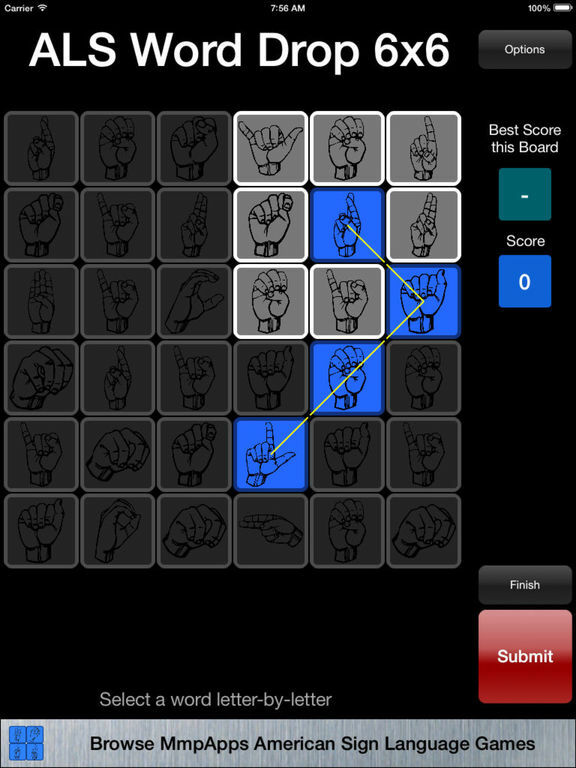 Play on a 6x6 or 8x8 board.